Vinay is a technology executive with over 20 years of experience leading digital transformation and automation for global enterprises. He is very passionate about leveraging emerging technologies to deliver sustainable business outcomes across customer experience, revenue growth and service excellence. 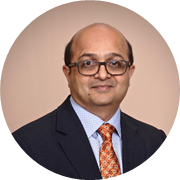 Vinay’s skills and experience cut across Business and technology strategy, global delivery, establishing COE’s for Process excellence and Intelligent automation technologies such as AI, RPA and BPM. Vinay currently works as “Chief Automation Officer” for LexisNexis where he drives the global automation strategy, investments and transformation programs. Previously Vinay worked for Bank of America and United Healthcare where he lead enterprise level leadership roles in the digital transformation space. Vinay also worked in global consulting industry for 10 years, where he managed a global team of 1000 plus consultants across 20 countries in the enterprise business solutions space. Vinay graduated from University of NC, Charlotte with a MS in Data Science and Analytics. He also holds MBA and Bachelor of Engineering degrees from India. Vinay is recognized as an Industry thought leader in the Intelligent automation space with multiple patents granted and papers published in international journals. He lives in Charlotte, NC with his wife and 2 sons. · RPA Piloting: Where to start and what are the key processes included? Check out the incredible speaker line-up to see who will be joining Vinay.